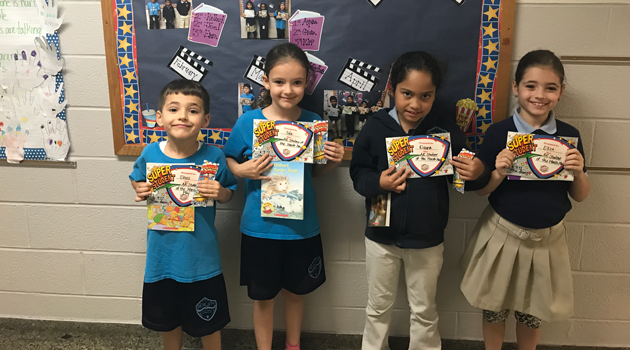 This month, all students in kindergarten through third grade had the chance to be “Accelerated Reader of the Month” by competing with the other students in their grade level for the most amount of passed Accelerated Reader quizzes. The winners for the month of May are Enes in KB, Eda in 1C, Kianna in 2B, and Eliza in 3A. Congratulations to these lucky students!